For over 80 years, Richmond Gear has provided the highest quality gears in the racing industry. Pit Stop USA is The Online High Performance Superstore! We feature Chrysler 215mm Ring & Pinion at low everyday prices. PitStopUSA.com offers a variety of Mopar 8.25-8.375" 10-Bolt Ring and Pinion from the biggest brands in drag racing including Richmond Gear Mopar 8.25-8.375" 10-Bolt Ring and Pinion and more at low everyday prices. PitStopUSA.com offers a variety of Mopar 9.25" 10-Bolt Ring and Pinion from the biggest brands in drag racing including Richmond Gear Mopar 9.25" 10-Bolt Ring and Pinion and more at low everyday prices. Pit Stop USA is The Online Motorsports Superstore! We feature Differential Parts & Accessories at low everyday prices. PitStopUSA.com offers a variety of Ford 9.5" Ring and Pinion from the biggest brands in drag racing including Richmond Gear Ford 9.5" Ring and Pinion and more at low everyday prices. Pit Stop USA is The Online Motorsports Superstore! We feature GM 7.5"-7.625" 10 Bolt Ring & Pinion at low everyday prices. PitStopUSA.com offers a variety of GM 8.2" Ring and Pinion from the biggest brands in drag racing including Motive Gear GM 8.2" Ring and Pinion and more at low everyday prices. Pit Stop USA is The Online Motorsports Superstore! We feature GM 8.5" 10 Bolt Ring & Pinion at low everyday prices. Pit Stop USA is The Online Motorsports Superstore! We feature GM 8.875" 12 Bolt Ring & Pinion at low everyday prices. Pit Stop USA is The Online High Performance Superstore! We feature Input Shaft Seals at low everyday prices. Check out the Recently Listed Manual Transmissions. Pit Stop USA is The Online High Performance Parts Superstore! We feature Mini-Spool Cross Pins at low everyday prices. Pit Stop USA is The Online Motorsports Superstore! We feature Mini-Spools at low everyday prices. Pit Stop USA is The Online High Performance Superstore! We feature Richmond Service Parts at low everyday prices. 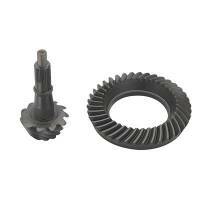 Check out the Recently Listed Ring and Pinion Gears . Pit Stop USA is The Online Motorsports Superstore! RICHMOND Performance Products are the result of a continuous research and development program combined with state-of-the-art manufacturing capabilities at the RICHMOND Performance Products plant in Liberty, South Carolina. 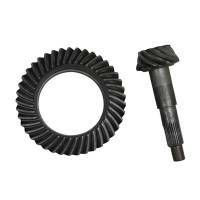 RICHMOND Gear is the leading manufacturer of professional quality, hi-performance ring and pinion sets. For over 80 years, the Double Diamond has signified the highest quality gears in the racing industry! The superior quality of RICHMOND Performance Products is a result of continual research and development, outstanding design and state-of-the-art manufacturing. Extensive testing is performed on all Richmond products. Engineered to perform faster and more reliable, our products are winners both at the Daytona 500 and U.S. Nationals for decades! RICHMOND Gear is proud to offer two series of PowertraxA extreme traction differentials to satisfy the most demanding requirements. Lock-Right is proven for brute force off-road applications. The new RICHMOND PowertraxA system is the premier line that combines the highest degree of traction output with superb street driving characteristics. RICHMOND "Bullet Proof" transmissions are packed with power and speed. The superior quality is a result of constant research and development and extensive testing at the RICHMOND Liberty, South Carolina facility. Outstanding engineering design has made the DOUBLE DIAMOND gearing the winner at the track or on the street. Professional quality and RICHMOND Gear enthusiastic approach to drivers who demand winning performance are built into every transmission and gear set that carries the RICHMOND name. We feature RICHMOND Gear Ring and Pinion Sets, RICHMOND Gear Ring and Pinion Installation Kits and RICHMOND Gear Two Speed Oval Track Transmissions at low everyday prices.